Secure Moving LTD as Abbotsford Movers, a registered and certified company, as one of the most professional and skilled teams in Abbotsford and its neighbourhood is an established fully-equipped company that provides a secure and low-cost services for your area. We work hard to ensure a superior level of customer support to our clientele in Abbotsford and help people with their small and big moves by using different truck sizes in Greater Vancouver and Lower Mainland area. Why hiring Secure Moving for your Move? Secure Moving is bonded and insured with the professionally trained and equipped employees, to clean, pack, unpack, and organize your furniture and household belonging securely, safely, and accurately, with no hassle, stress and unnecessary anxiety. If you are worried that it will cost you more, be sure that we have no hidden fees. What to Expect from Secure Moving? ➢Big or Small- We Can Handle Moves of All Sizes! We understand that moving is very stressful, and the most difficult things you would ever do, but Secure Moving LTD makes it efficient and easy for you from beginning to the end covering all kinds of moving job including residential, commercial and office move. 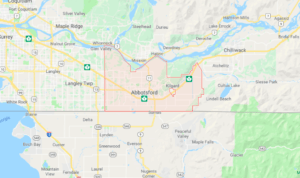 To book Abbotsford residential moving services make sure to Contact Us and we will be more than happy to hear and help you! © Copyright - Secure Moving Ltd - Developet by Rayan Pixel Web Design Co.